The Janata Dal United (JDU), the ruling party in Bihar, said on Monday that the State would complete verifying all documents sent from the office of the State coordinator of the National Register of Citizens (NRC) (read in Guwahati in Assam) here within a month. A report published in the The Telegraph stated that the JDU Secretary and the party’s North East in-charge Afaque Ahmed Khan, while talking to the media in Guwahati on Monday said the State has so far verified 60,000 of 74,000 documents sent from the NRC office. “The remaining documents will be verified within a month,” he said. 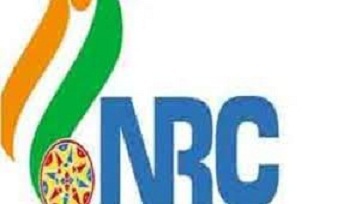 The report further stated that many people could not enter their names in the final NRC draft, published on July 30 last, as their documents were not verified by the respective State Governments, Bengal being the biggest defaulter. Once these documents are verified, these people will be able to enter their names by submitting claims. The JDU demanded that the NRC be updated across the country. “We are happy to have published the final NRC draft in Assam under the Supreme Court’s supervision. It should be updated across the country as illegal migration is not only Assam’s problem,” said Senchumo NSN Lotha, Chairman of the party’s North East Executive Council. The JDU reiterated its support to the All Assam Students’ Union (AASU) in their opposition to the Citizenship (Amendment) Bill, 2016. In a meeting between the party and the AASU in Patna in May this year, the party President and Bihar Chief Minister Nitish Kumar had assured that they would oppose the Bill. “Following the meeting, the party executive body on July 8 last took a formal resolution to oppose the Bill,” Khan said. The Bihar Deputy Chief Minister Sushil Kumar Modi said in Patna that of the total documents received so far, 52,110 had been sent to districts, departments, boards and corporation for verification. The authorities concerned had so far certified 5,418 documents, he added. Of the total verified documents, the Bihar Government has already sent 3,264 documents to the Assam Government. The maximum number pertains to Saran district where 8,716 documents have been sent for verification.